Racine (Wis.) Park 2019 F/C Nobal Days doesn’t plan on making an early decision. However, the high-upside junior is noticing which schools have been making the hardest push this summer. 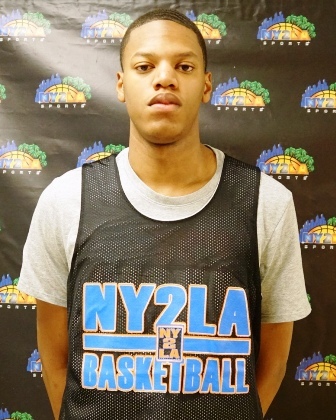 “I would say Tulane, Wisconsin, Kansas State, UNLV, and Illinois are recruiting me the hardest,” Days told NY2LA Sports. Days has offers from all of the above programs as well as DePaul and Marquette. While in-state powers Marquette and Wisconsin often landed a number of Badger State products recently, Days said he’s more than open to leaving home. Still, Days has enjoyed being pursued by two teams he grew up watching. On June 15, the first day in which programs could personally call recruits, Days heard from North Carolina, Vanderbilt, Kansas State, Wisconsin, Iowa, Illinois, Northwestern, UNLV, Stanford, Nebraska, and Notre Dame among others. He’s also been fielding interest from Ohio State, Kansas, and Arizona. Still feeling things out in the recruiting process, Days only wants to focus on his game at this time. "I think I'm going to go into next year, for sure," he said. "I have to get a lot stronger, more athletic. I have to work on my jump shot. I have to work on my game a lot more. I'm going to go to the camps and focus on the open period." Days plays with Playground Elite during the travel season.